Currently, a lot of laptops and desktop computers on the market have a dedicated graphics card. Although the computer processor itself has a graphics card inside it in the form of a chip known as an integrated graphics card, its graphics processing capability is limited. A dedicated graphics card is usually added to the laptops or the desktop computers with the medium or the high specification to run apps that require the higher graphics processing. 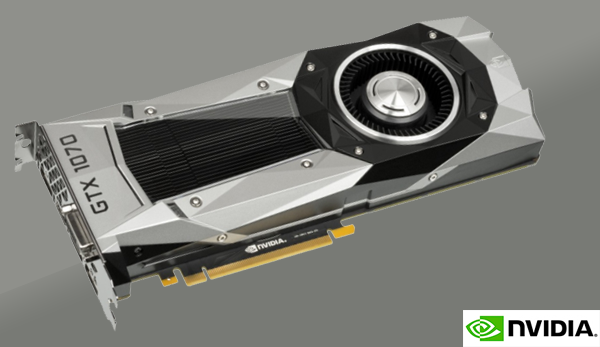 There are quite a few graphics card manufacturers, some of which are Nvidia, AMD, and Asus. The graphics card for the desktop computers has a large physical shape that can be installed in and removed from the mainboard expansion slot with ease, while the graphics card for the laptops is mounted and fused on the mainboard, making it difficult to remove or replace. When you buy a branded laptop or desktop computer, there is usually a small sticker on the case to identify whether the laptop or desktop computer has a dedicated graphics card or not. If your laptop or desktop computer has two graphics cards, an integrated and a dedicated graphics card, Microsoft Windows by default will use an integrated graphics card. When you operate an application that requires the higher graphics processing like a game or a video processing app, you need to switch using the dedicated graphics card. You will not get the best performance when the higher graphics processing is handled by the integrated graphics card. Each graphics card installed on the computer has a control panel that is used to change settings. Through the control panel, you can specify the primary graphics card used for graphics processing. In Microsoft Windows, the lighter graphics processing automatically uses the integrated graphics card, such as Intel HD Graphics for Intel processor, while for the 3D graphics processing or the certain applications that require the higher graphics processing, you can specify the dedicated one manually. 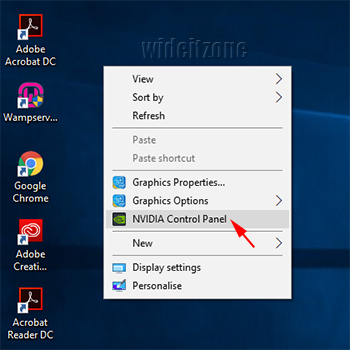 In the empty area of the desktop, right-click the mouse to display the shortcut menus and then select NVIDIA Control Panel. 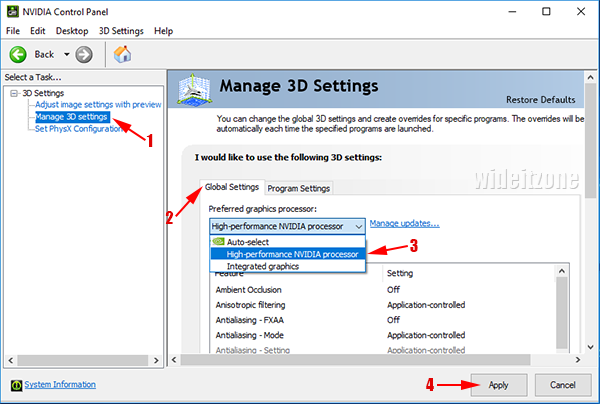 In the NVIDIA Control Panel window that appears, click Manage 3D settings (1), select the Global Settings tab (2), from the drop-down list box, select High-performance NVIDIA processor (3), and then click the Apply button (4). 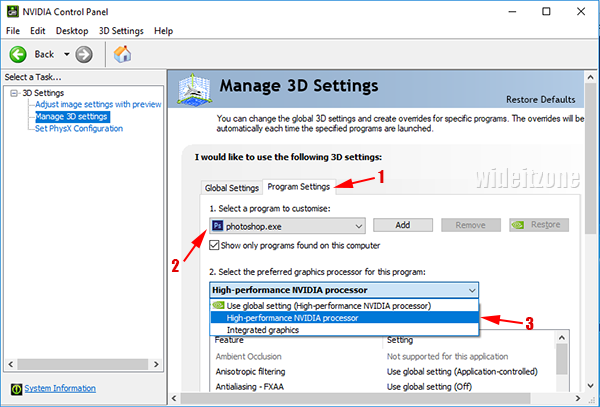 If you want to set the dedicated graphics cards for a particular application, click the Program Settings tab (1), select the application or program to be set to use the dedicated graphics card (2), and then select High-performance NVIDIA processor (3). You can repeat this step for another application. If the app you want is not on the list, you can uncheck the checkbox labeled Show only programs found on this computer or use the Add button to add it.